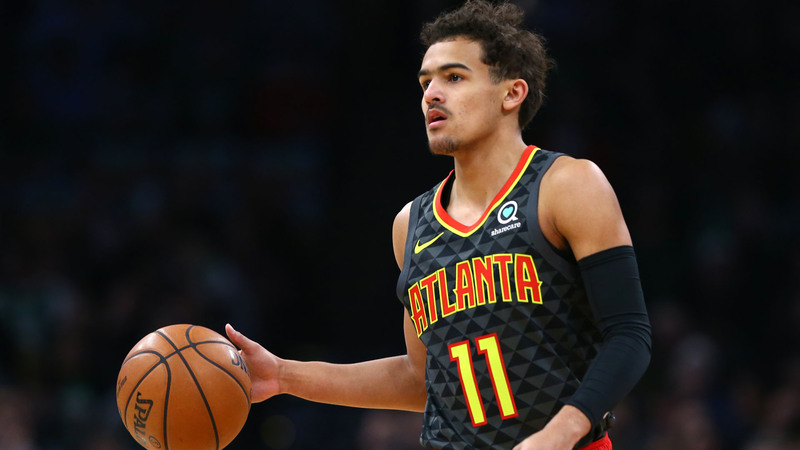 Hawks guard Trae Young pulled off an incredible game-winning shot Saturday with less than a second remaining, giving his team a 129-127 win over the 76ers. Young grabbed an inbound pass from Kevin Huerter with less than four seconds to go and dribbled past 76ers' Jimmy Butler toward the free-throw line. He then made a jumper with 0.1 seconds left in the game. Young explained the sequence following the game after he scored 32 points with 11 assists to end the 76ers' six-game winning streak. "Those are the type of plays you live for, with the clock counting down," Young said, per The Atlanta Journal-Constitution. "I just wanted to get to my strong suit and get to my pull-up, that mid-range floater I have." 76ers coach Brett Brown took notice of Young's performance, calling him "unique," while Hawks coach Lloyd Pierce praised the rookie. "We rely on him a lot and he delivers a lot. I don’t know if anyone has played better basketball in their rookie season than he is or anyone else over the last couple of years," Pierce said. Young was selected by the Mavericks No. 5 overall out of the 2018 draft, but was then traded to Atlanta in exchange for the No. 3 pick and a 2019 first-round pick. Young is averaging 18.7 points and has had five games with at least 30 points and 10 assists.